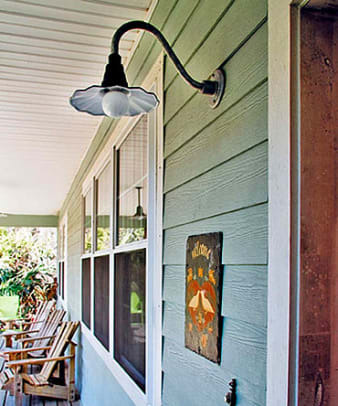 Rejuvenation&apos;s &apos;Amity&apos; wall brackets flanking the door go nicely with their &apos;Columbia&apos; pendants on this rustic porch. 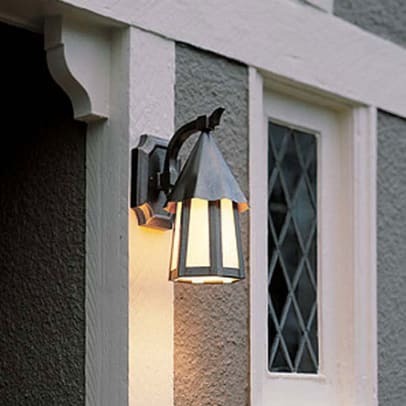 Whether flush-mounted, pendant, or lantern, a porch ceiling light is still a good choice for illumination on a small entry porch. 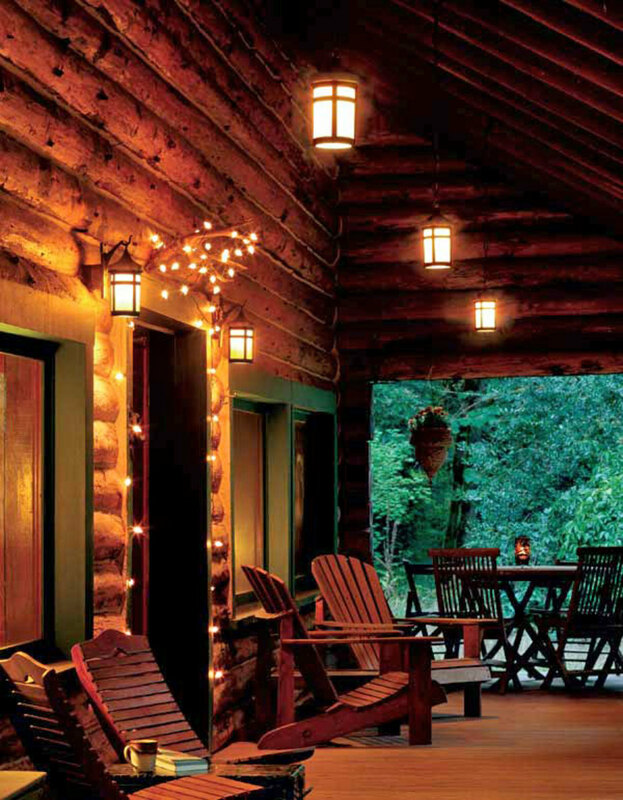 But a single overhead light won’t cut it on a porch that’s especially large or wide. 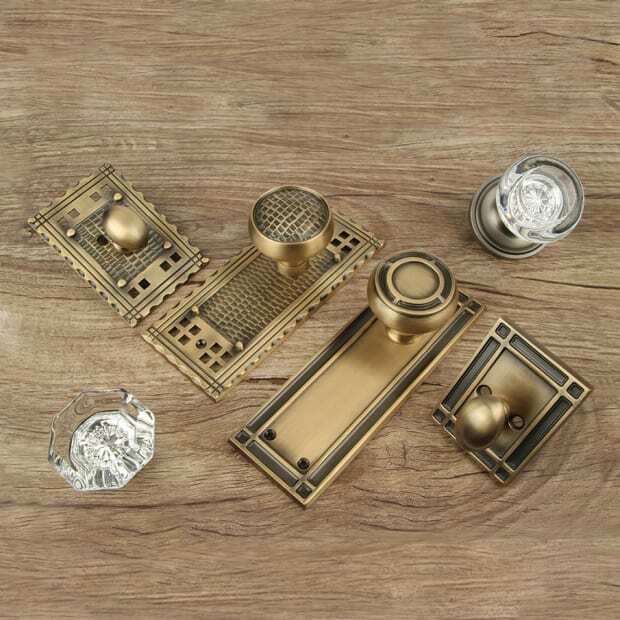 Install these classics in multiples every few feet, though, and you’ll create a sense of ambiance that’s in keeping with the period look of the house. To pinpoint light on the doorknob and keyhole, try a pair of sconces or lanterns on either side of the front door, with or without an overhead fixture for general lighting. 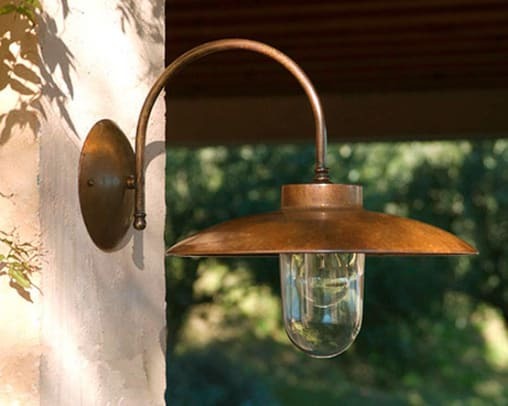 For a low-impact vibe conducive to quiet conversations on the porch, consider a series of hard-wired foot lights, installed along the porch wall at roughly knee height. 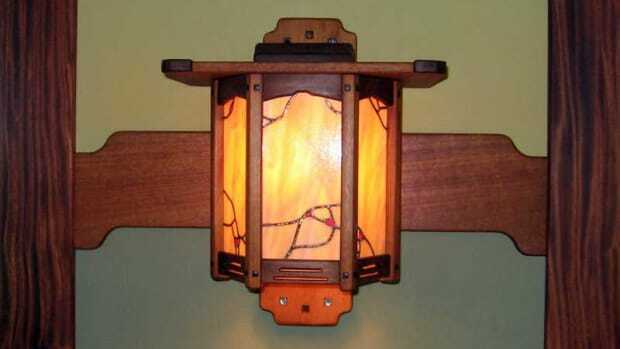 These lights are usually shielded by cups or mini overhangs so light isn’t directed upward. 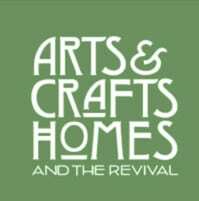 Many are available in fanciful Arts & Crafts styles and patina-friendly metals like copper and bronze. 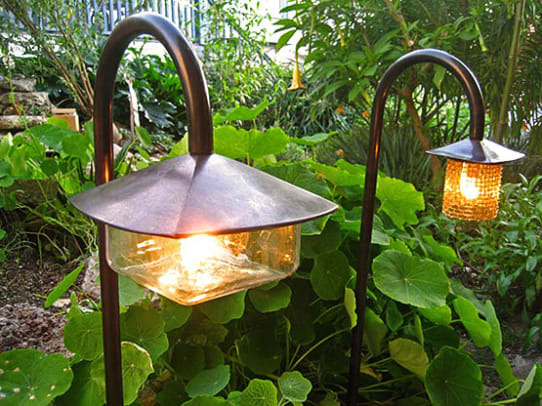 Both low-voltage and hard-wired garden or path lights are ideal for illuminating paths, steps, or walkways. 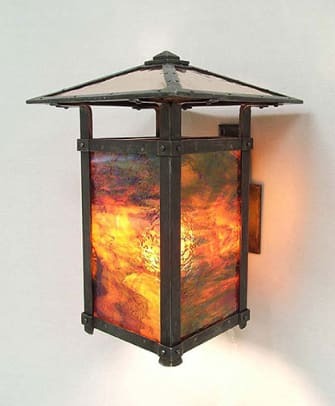 (The decorative ones make excellent accent lights.) Low-voltage fixtures — usually no more than a couple of feet high — run off a transformer that plugs into a standard wall outlet, ramping down the standard 120-volt energy flow to a mere 12 volts. 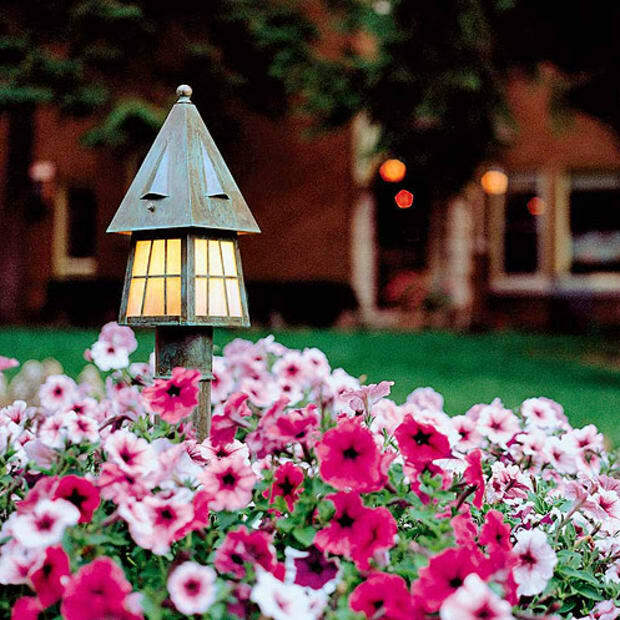 Hard-wired garden lights offer the advantage of permanence over low-voltage lights, which can be knocked over or damaged by equipment, heavy snow, or even heavy rainfall. Hard-wired systems go just about anywhere you want them: at ground level attached to a conduit, along walls, or mounted on a railing, post, or column. 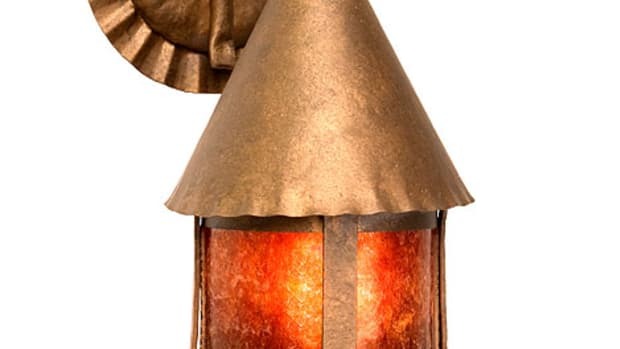 Because of their versatility, they’re also a good choice for ambient Arts & Crafts lighting on decks and patios. Low-to-the ground fixtures place light in such a way that it’s easy for a visitor on foot to see where he or she is going. Similarly, a tall post light along the entrance to a path or a pair of column-mounted lights on either side of the entry to a driveway can help direct guests arriving by car safely onto your property. 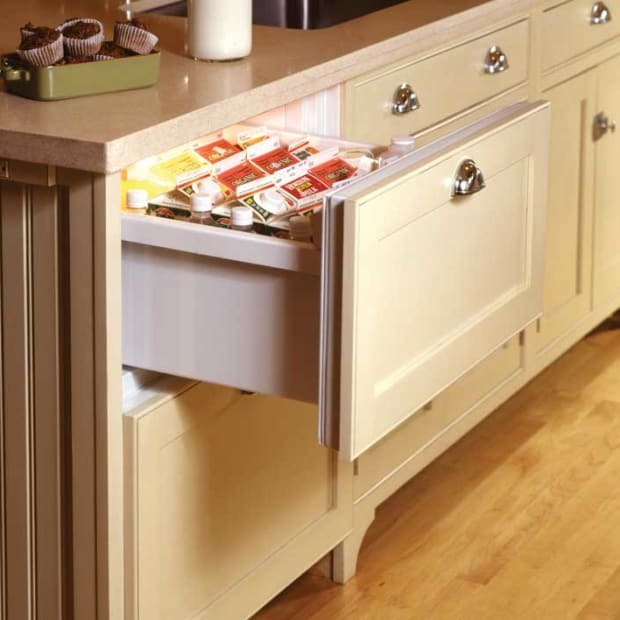 Both of these options make use of sizeable fixtures that can be true architectural style statements for your home. 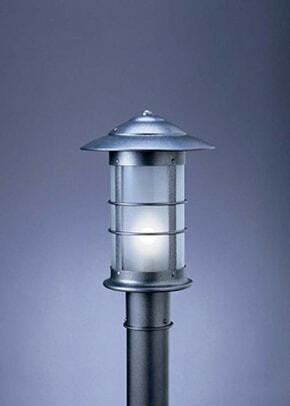 Need a light over a garage or shed for visibility at night? 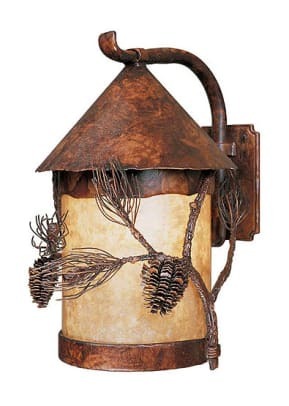 Industrial-style lights — a look that romanticizes style points of warehouse, barn, and gasoline-station lighting of the 1920s and ’30s — pick up where the vintage originals have left off. 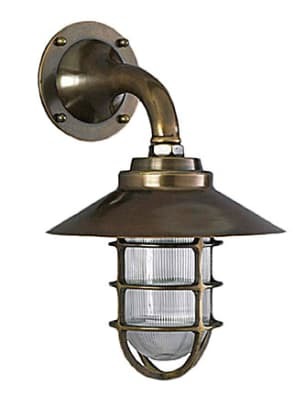 These fixtures usually feature assorted gooseneck arms and inverted washpan or fluted shades in both raw and enameled metal. 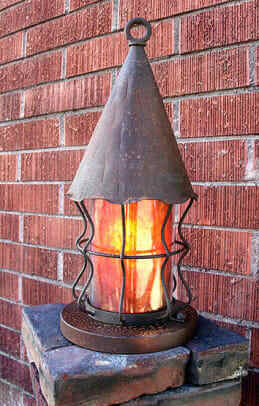 They work well either singly or in pairs, casting rakish spotlights on the simplest outbuilding.